Thursday night, the disbanded musical group Pink Floyd “united” to express their support for the Zaytouna-Oliva flotilla that sought to break the blockade on Gaza and that was stopped by the Israeli Navy on Wednesday. 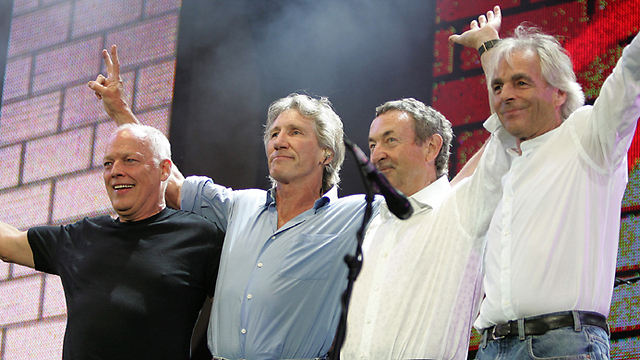 The somewhat misleading header was “Pink Floyd reunites to stand with the Women of the Gaza Freedom Flotilla. Roger Waters is no newcomer to criticizing Israel. In the past, he has called on other artists to join him in a cultural boycott against the Jewish state and refuse to come here to perform. Gilmour and Mason, for their part, tend to avoid directly commenting on the Israeli-Palestinian conflict.